Gerald Haywood of D.C. Department of Energy and Environment (DOEE) conducts a water quality stream survey along Pope Branch. 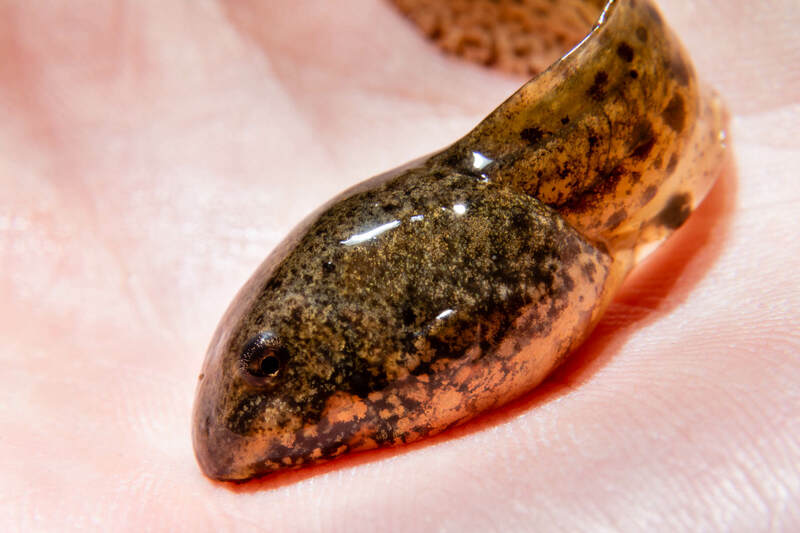 Matt English of DOEE holds a tadpole found while surveying Pope Branch. 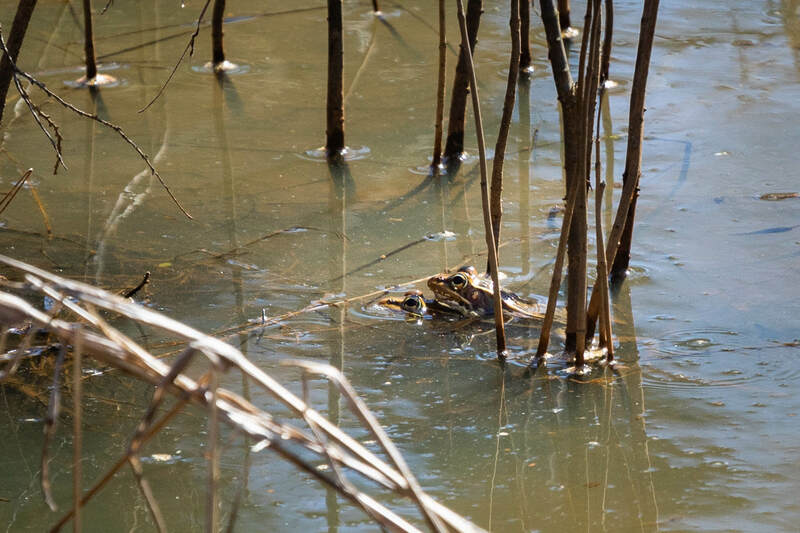 Southern leopard frogs spawn in wetlands created by the stream restoration. 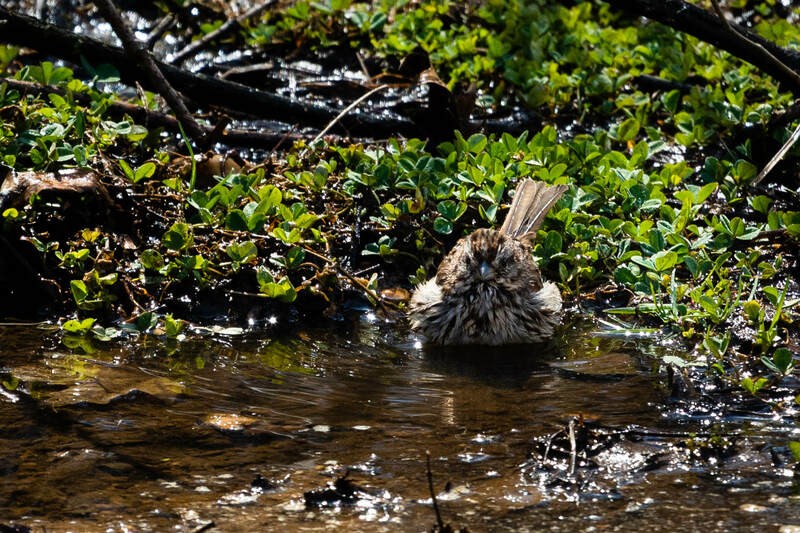 A song sparrow bathes in a shallow stretch of stream. 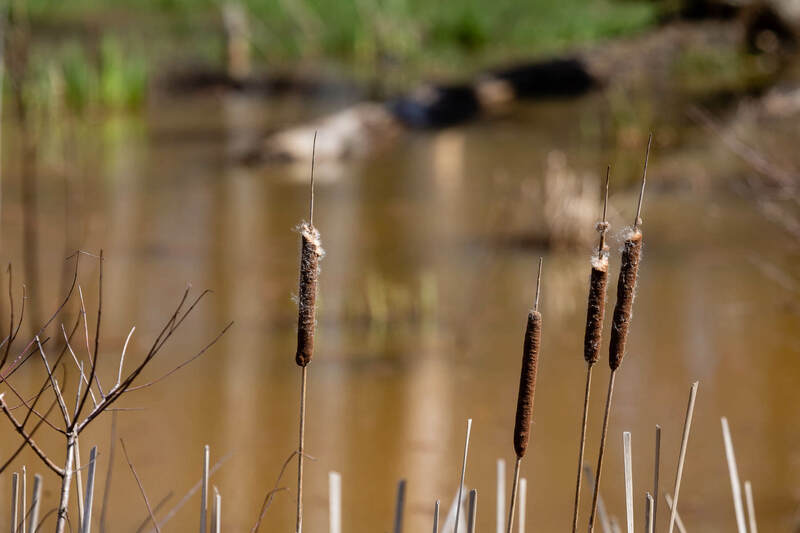 Cattails grow along Pope Branch. Floating litter accumulates near Minnesota Ave SE, which bisects the restoration site. 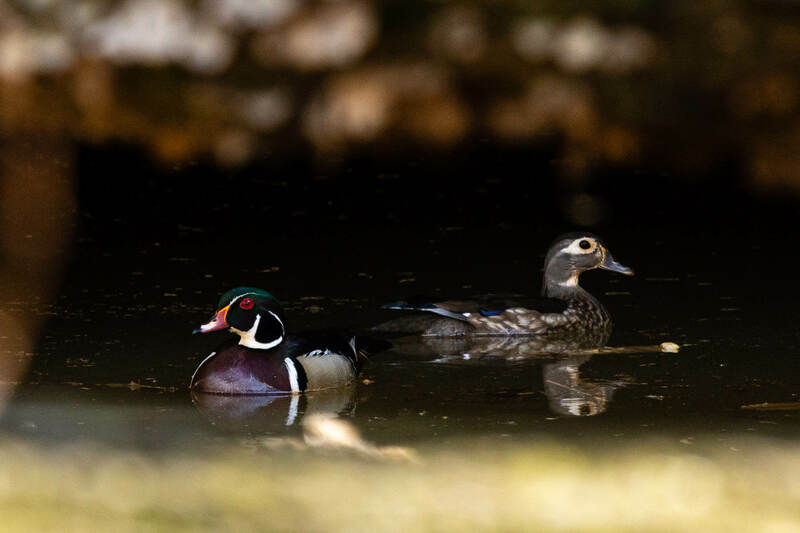 Wood ducks use a culvert underneath Minnesota Ave SE to travel upstream along Pope Branch. On an early spring afternoon, Pope Branch was alive with the chorus of leopard frogs and songbirds. Only a few years ago, it was just another unhealthy stream in a heavily urbanized neighborhood of Southeast Washington, D.C. Surrounded by roads and houses, all the paved surface sped up the stream’s flow. Over the years, Pope Branch became channelized and cut off from the surrounding floodplain. 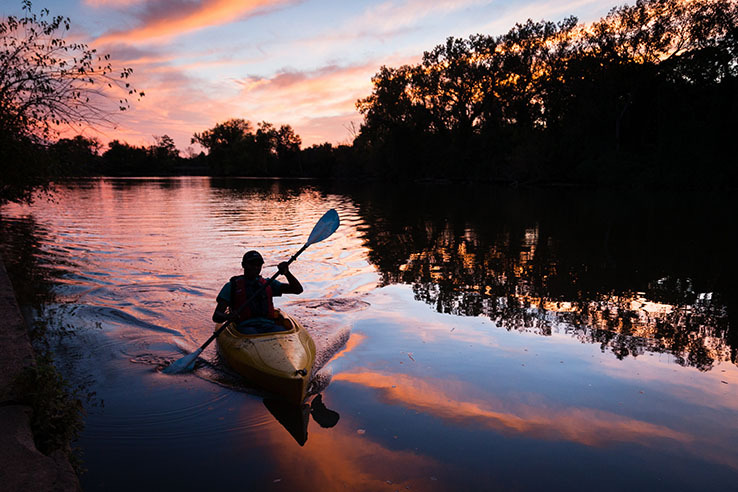 The energized water dug farther into the ground, where leaky sewer pipes only added to the pollution and debris heading downstream to the Anacostia River. 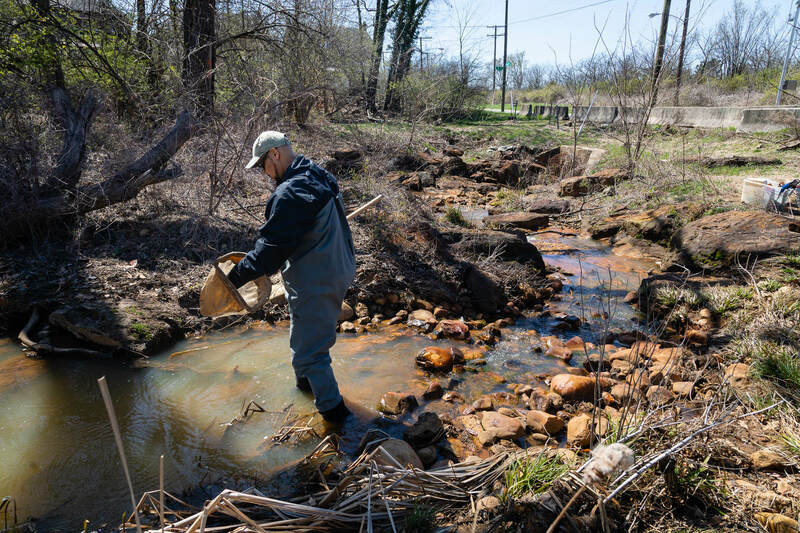 In 2016, the D.C. Department of Energy and Environment (DOEE), in a joint project with DC Water and the D.C. Department of Parks and Recreation, restored almost a mile of Pope Branch, adding sections of cobble-lined step pools known as regenerative stormwater conveyances. By reducing erosion and giving the water a chance to slow down and spread out, Pope Branch is sending less nutrient and sediment pollution downstream. As the centerpiece of Pope Branch Park, the restoration also improves the view for residents and returns some of the wildlife habitat that would have existed there in past centuries. That same afternoon, a team from DOEE visited to conduct a water quality survey, filling nets with invertebrates from the streambed that serve as indicators of health—snails, clams, and the larvae of midges, crane flies and caddis flies. They weren’t the only visitors. Robins and song sparrows took turns bathing along a shallow stretch of water. A groundhog ambled by. Upstream, a reclusive pair of male and female wood ducks swam, hidden by trees just a few yards below four lanes of traffic. 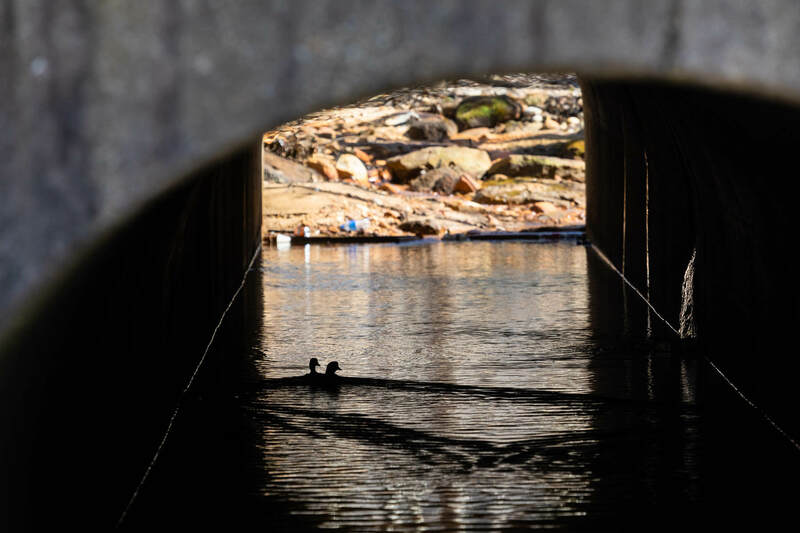 The ducks used a wide culvert to swim underneath the road, passing through a mass of floating plastic bottles, bags, polystyrene and other debris. 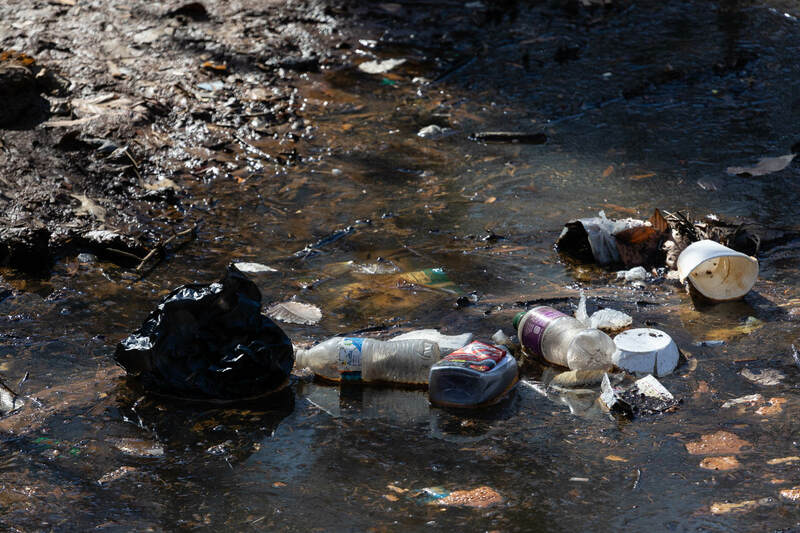 Though restoration can improve a stream’s ability to filter nutrient pollution before sending it downstream, there remains everyone’s responsibility to prevent litter from escaping into the water. 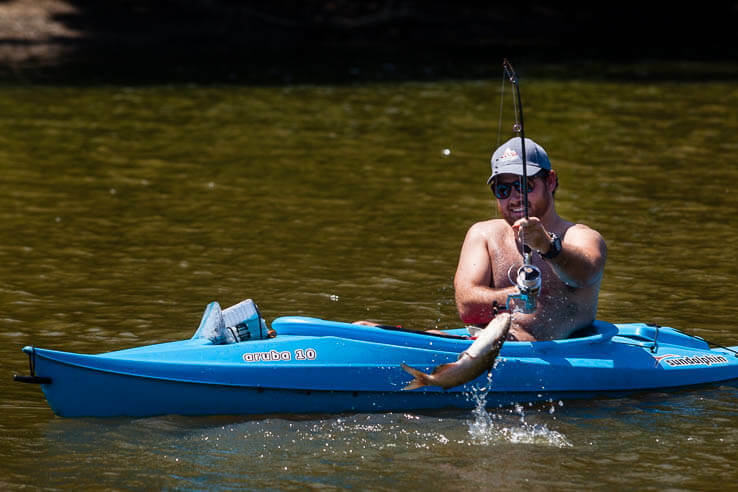 Helping tip the scales in favor of the water and those who enjoy it, the Pope Branch Park Restoration Alliance has organized trash cleanups—including an event to mark Earth Day. 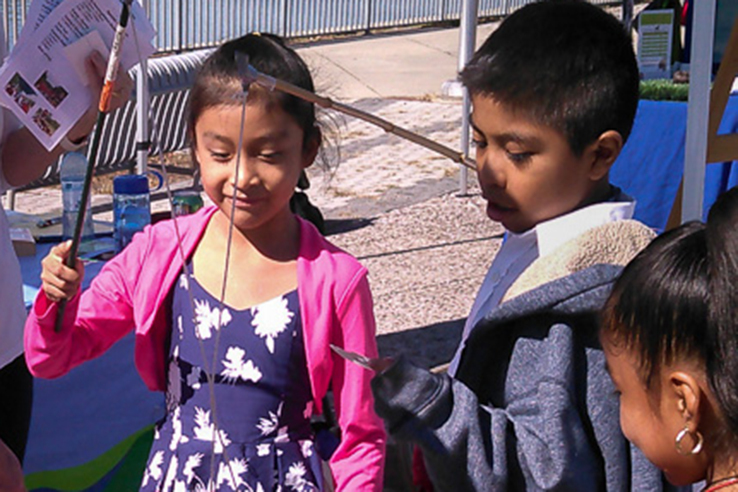 Learn more about volunteering with the Pope Branch Park Restoration Alliance.